My little family of three has this dinner-time conversation on a regular basis—it’s usually prompted by my wife… she will ask, “Where did you see God today?” The question could be asked a number of ways: How did you see God today? What experience brought you closer to God today? What reminded you of God today? What did God whisper to you today? There is no right or wrong answer. That’s not the point. The point is to share those encounters, experiences, thoughts, and feelings that somehow made us mindful of our Creator. When Liz Vice came to sing at our church’s annual Together Nights last month, it was one of those experiences for me that made me especially mindful of God’s work all around me. The combination of her beautiful, soulful, groove-rich music and her honest, raw, heartfelt commentary between songs made me feel like Heaven had come to earth—if just for an evening. Other times for me it’s staring into the sky and getting lost in the patterns of the clouds brushed across the light blue. What a master Artist our God is. 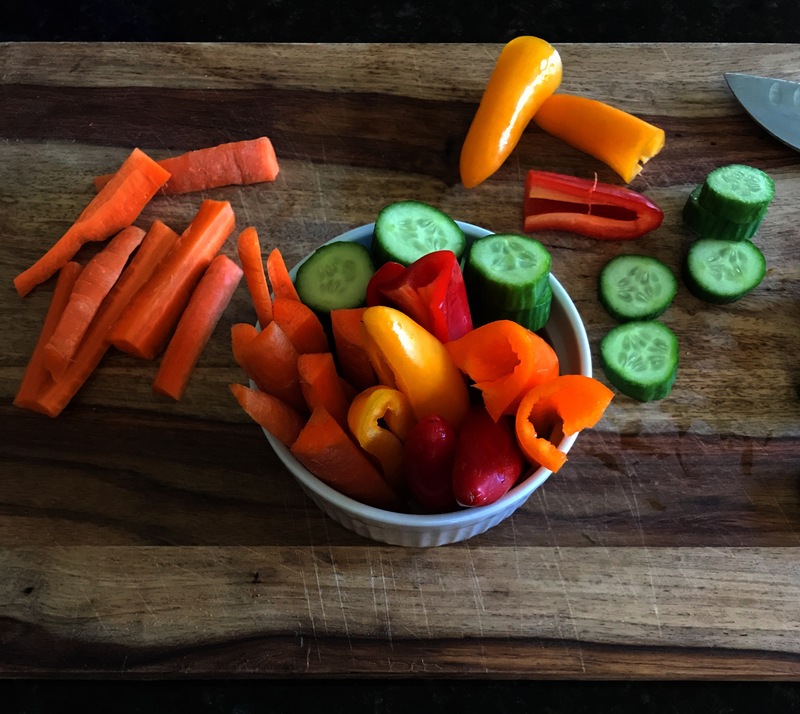 And then there are times when I’m cutting vegetables and I pause to notice the array of colors… it makes me thankful for the breadth of diversity God has given to us – so much to discover, so much to enjoy. Every event, I believe, carries the hidden possibility of a word coming from God. Is there any moment, any event through which God does not speak? One autumn you see a flock of geese migrate over your house. You wake up to a rain spattering on dark bedroom windows. You read a poem. A child reaches for your hand. You see someone on the street. You meet a friend in a shopping mall. And in the midst of them you recognize the sound and touch of God… or you do not. That is His gentle, non-coercive way of coming to us—always coming. I’d love for you to join me at our dinner table—even if only figuratively—and participate in my family’s ongoing conversation: In what ways have you seen, felt, heard, been reminded of, or experienced God today?